For questions contact Sofia Getachew, sgetachew@mfa.gwu.edu or 202-741-2825. 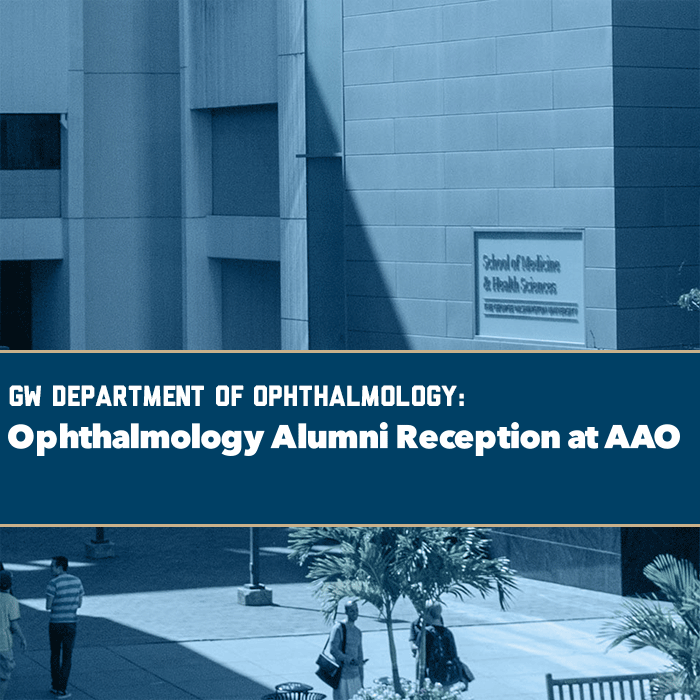 Register for the GW Ophthalmology Alumni Reception at AAO! Craig Geist, MD, RESD '87, MS '83, FACS, professor and chair, Department of Ophthalmology, director of Oculoplastics, invites you and a guest to the GW Department of Ophthalmology Alumni Reception on the occasion of AAO 2018 in Chicago. RSVP by October 18, 2018.